Our organization was formed in 1998 as the Working Harbour Society to represent harbour stakeholders in the negotiations associated with the formation of the Greater Victoria Harbour Authority (GVHA). To this day, VEHS continues to represent stakeholder interests on the GVHA Board and more broadly acts as a voice for broad stakeholder interests in our working harbours. 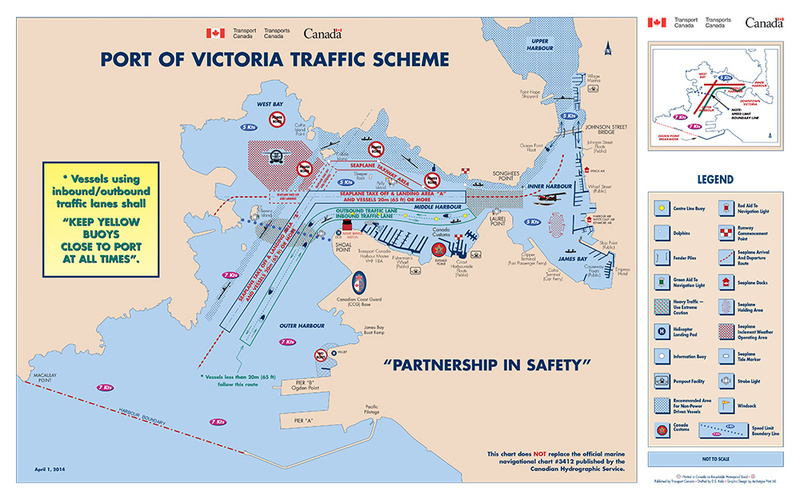 Victoria and Esquimalt Harbours are centres of industry, recreation, learning and celebration. Opportunities abound for recreation, employment and industry. The harbours provides economic opportunity and diversity to the region. VEHS is a united group of harbour stakeholders committed to providing vision, knowledge and guidance for vibrant activities and commerce at the interface between land and sea in Victoria and Esquimalt Harbours. The Victoria Harbour, British Columbia, is a small, natural harbour located at the southern tip of Vancouver Island, approximately 4 kilometers in total length. It consists of three roughly equal sections running north (Outer Harbour), then east (Inner Harbour), then north again (Upper Harbour). Beyond a fixed road bridge at the head of the Upper Harbour, Selkirk Water leads to a small industrial area accessible only to tugs and barges drawing four metres or less. Widths of the harbour run from 0.4 nautical miles at the outer entrance, gradually narrowing until the narrowest point of 137 metres just before the main commercial area of the Inner Harbour. A short, very narrow section connects the Inner and Upper Harbours where a single-span lift bridge connects the city of Victoria to its western suburbs and the Township of Esquimalt. There are approximately 9.5 kilometres of coastline within the harbour, used for commercial, recreational and residential purposes. Depths in the harbour vary from 20 metres at the entrance in the vicinity of the cruise ship berths to 6 metres in the Inner Harbour at the terminal of the international ferries. As a result of its shape, the harbour is well –sheltered in all but its outer section and even that has the protection of an outer breakwater to the southeast, the direction of most winter storms.